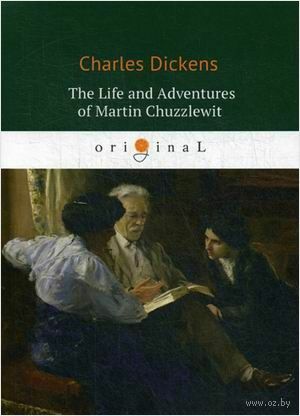 Martin Chuzzlewit, or "the American one", as fans of Dickens often refer to it, is "The Inimitable's" sixth novel, written and published in twenty monthly parts between January 1843 to July 1844, when its author was between 30 and 32. It is a typical Dickensian romp of a ride, with thrills, passion, savage mockery, suspense - and flashes of absurd humour amidst the despair. 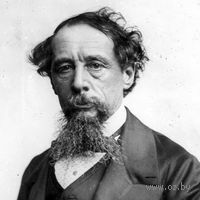 The novel lunges between hyperbole and whimsy, switching at a moment's notice, and it contains some of Dickens's most memorable characters. There is the seedy but charming schemer Montague Tigg (Tigg Montague), and his associate Chevy Slyme, the eccentrically fey and colourfully attired barber and bird-fancier Poll Sweedlepipe, the staunch ally Mark Tapley, the undertaker Mr Mould, the buxom good-hearted pub landlady Mrs Lupin, the poor addled old clerk Chuffey... or is he really so confused?